Ann Sieg | WordPress Blog or SBI Website? Building a successful online network marketing business has always taken much more than just a website. It takes keyword/market research, search engine optimization, and site promotion (along with many other tactics). And up until the past year, I’ve always recommended Site Build It (SBI). SBI provides all of the tools a new online marketer needs to build that first successful online business. Plus they provide the step-by-step guidance to make it easier for a beginner. But things have changed, and although SBI is still a quality platform to build your online business, I no longer recommend it as your FIRST option. After two years of personal testing my own results, and speaking with –literally- thousands of our customers, we’ve discovered a better way. It’s “MLM Blogging” with WordPress. And now we have a solution that has proven more effective, faster and cheaper to generate leads with a website (or in this case, with a blog). MLM Blog Secrets, which is our primary flagship WordPress blogging product, and MLM Blog Code is our upgraded, further in-depth version. Ty Tribble has become the TOP network marketing blogger in the WORLD, and has gained numerous recognitions from some of the industry’s top leaders and performers for what he does! He has truly pioneered the movement of network marketing professionals who generate leads and build their business through leveraging effectively from online blogging. Ty has also just signed a book deal with Wiley & Sons Publishing, the largest business publisher in the world. 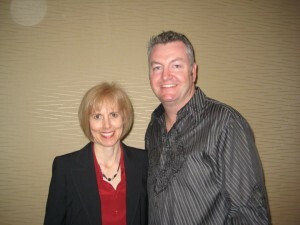 His book will be about creating an additional income stream outside of your current career through Network Marketing. Ty really knows his stuff, and we’re very proud of what we’ve put together with him because we know it will help you. He has built successful organizations in this industry, as well as perfected a very lucrative strategy for building and monetizing network marketing through blogging that has never really been seen before in this type of capacity. And now he is teaching his proven strategies to others in this new course, which is exclusively hosted and provided here through The Renegade System. Among many unique qualities that make this MLM Blog Code (and MLM Blog Secrets) product stand out, is the fact that it combines the worlds of blogging (and internet marketing) directly WITH the network marketing (and home business) industry – to fully teach people not only HOW to set up a blog properly, but also exactly how to get it to generate leads and income for you and any network marketing business or home business you have! This is soo much more than that. It’s based on helping people achieve their end objective through proper set up, leverage, and monetization of their blog! Beyond the cutting edge training that will allow you to generate leads via your blog, you have an opportunity to partner with us if you are pleased with the quality of this product. We will make things as simple and easy for you as possible. We provide all sorts of pre-written materials like promo emails, Twitter posts, banners, and more. So all you have to do is just copy, paste, and send these highly converting pieces out to your list (or to the web) – and let our proven sales funnel process handle the rest from there! … Is that you can learn from their successes, and be able to leverage their trial and error efforts to greatly shorten your learning (and application) curve! That’s why we’ve put together Free Blog Training for you. I just purchased SBI 2.0 in order to become an affiliate with The Renegade Marketing System. Now you are recommending blogging over SBI. What do I do now? I cannot find how to cancel my SBI 2.0 membership. Any suggestions? I’m thinking about buying SBI. What did you think about the company and how long did it take to bill you site.. I’m a real estates agent that really need a change. You didn’t make a bad decision with your SBI purchase. SBI is great if you’re completely new and you’re willing to follow their system step-by-step to build your first website, get traffic to it, and see your first income stream slowly develop on the Internet. We still stand by SBI. It works! And so does “MLM Blog Secrets,” our product with Ty Tribble. The truth is, both of these vehicles can be used to accomplish a marketing objective. Many things have changed with the way the internet works and how people are able to find things online. And we created MLM Blog Secrets specifically for Network Marketers with these changes in mind. Also, Ty is a true expert at this. In MLM Blog Secrets he teaches you his own professional tips and advice. And the course is targeted at people just like YOU who are working to create their own profitable internet presence. Can’t go wrong there either Les. Simply make a choice and stick with it. You have great information to choose from. Just know that with a steely tenacity and a commitment to consistent action you’ll be able to compete with the best of them in time. Quick clarification: You don’t need SBI to be an affiliate of The Renegade, or be in alignment with The Renegade System. Your purchase of The Renegade ebook gives you access to all of our products as an affiliate. You can benefit as an affiliate from both SBI and MLM Blog Secrets. As stated in the post, we support you with MLM Blog Secrets to earn commissions. We’re also affiliates of SBI and have enjoyed a great relationship with SBI for many years. Not sure as it varies for everyone. They force you to go through a series of “preparations” that take weeks – at least. There are so many resources with Renegade Professional and Renegade Network Marker system that I don’t feel that I could devote any time to learning SBI at this point. I will revisit it again in the near future. I did cancel my order and I will focus my attention on your system and the “MLM Blog Secrets” with Ty Tribble. Thank you for your reply and all that you do for us “newbies” or “rookies”. I believe your system will change my life for the better. It’s all new, but with your help I can do it! Thanks again! after buying the MLM blog secret, that’s all I have to do to start your system of monetizing? I can’t make any guarantees that that is all you have to do, but you will be well on your way. You will be on the right track. We have several testimonials and case studies from people who have used MLM Blog Secrets to begin monetizing. I have purchased the Renegade system and got Ty Tribbles Blog secret and followed it to the tee that I have a blog up and running. I have to say that I personally could have never put togeather the blog without Ty’s system. The only thing that I would advise people that purchase the system is to have two computers one with the vidios running and the other one to do the set up. There is so much to learn. I my intentions is to get a huge affilate business going, Oh yes I have watched all the affitiate gurus and that they have the best and you can be up and running in 24 hours. What really would be be great is if ann you could put a program out that you would actualy get the studant up and running with the system in place useing google adwords and a product that could be offered and selling. If this would be done and a good vidio cource with the right places to click I would jump on this. The other thing to get setup with all the back end affiliates There should be a cheat sheet on telling which one that a person should sign up with first, because you are in the middle od signing up than it tells you that you need a paypal acct or cj or click bank ypou get what I mean. I my goal is to get the system up and running and than I would help other people to do the same thing. Thanks for all the feedback. Love it! There’s nothing better than folks letting us know the good, the bad and the ugly. We’re getting ready to make a lot of improvements to The Renegade System so will definitely make a note of the cheat sheet for the back end affiliate programs. Also, totally hear you on having two pcs up and running while going through MLM Blog Secrets. I have been told (for some time) to get two monitors going and how much that helps on efficiency. Time to jump on that. Thanks for stopping by, John. Let us know if there’s anything else we can do for you.